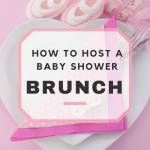 Food is one of the most important elements in baby shower planning. Why? Because ladies gotta eat. Nobody wants to go to a baby shower, only to find nothing but cheese and crackers and a fruit salad. At a baby shower, every woman arrives secretly expecting to chow down on some good grub. It’s like we automatically enter a realm of sympathy hunger. Besides, pregnant women love food, and this is a shower for a pregnant woman, i.e. 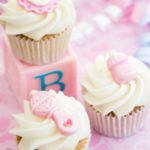 a “baby shower;” therefore, there should be food that the mama-to-be will love, and everyone should leave with a smile on their face, and looking as if they’re expecting a baby, too! Just put a little umph into the menu, and pay special attention to the snacks. Capisce? 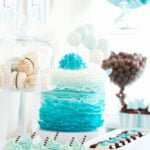 When it comes to the baby shower snacks, the menu should include a variety of sweets, healthy snacks, and whatever else sounds and looks delicious. Always make “too much” because often what seems to be enough is never really enough. The worst that can happen is you wind up with some awesome leftovers! Slice tomatoes, drizzle a dot of olive oil, place a slice of mozzarella cheese, and top it off with fresh basil. Lay out a few slices of ham, smear on a layer of cream cheese, place a pickle spear in the middle, roll it up, slice into bite-size pieces, and secure each piece with a decorative tooth pick. Using spinach tortillas, smear on tuna, sprinkle with shredded cheddar cheese, roll it up, slice it in 2 inch rolls, secure each roll with decorative toothpicks. Wrap smokies with bacon, place on skewers on a baking sheet, sprinkle with brown sugar, bake in oven on 350 until the bacon is crisp and the brown sugar is melted. Mash together three avocados, the juice from one lime, and a teaspoon of salt. Mix in a half cup of chopped onion, 3 tablespoons of fresh, chopped cilantro, 2 chopped roma tomatoes, and a teaspoon of garlic. Stir a pinch of cayenne pepper, refrigerate and serve with tortilla chips. Cut mini bagels in half and place inside up on a baking sheet, spread pizza sauce over each one, sprinkle with oregano or Italian seasoning, sprinkle a generous amount of shredded mozzarella and top with a pepperoni. Bake in oven on 350 until cheese is melted. Garnish with fresh herbs, if desired. Melt butter in a cup, lay out flour tortillas and brush them over with the melted butter, sprinkle generously with a cinnamon sugar mixture, slice into 8 pieces, pizza style. Bake in oven on 350 for 8-10 minutes, until the tortillas are a light brown. Serve as-is, or with a cinnamon roll icing dipping sauce. Cut up kale into bite-sized pieces, keep in mind that kale will shrink considerably. Mix kale in bowl with olive oil, place it in single layer on baking sheet, sprinkle with sea salt and bake in oven on 350 for about 15 minutes, until kale is crispy. Mix together a variety of nuts, sunflower seeds, dried fruit, pretzels, cheez-its. 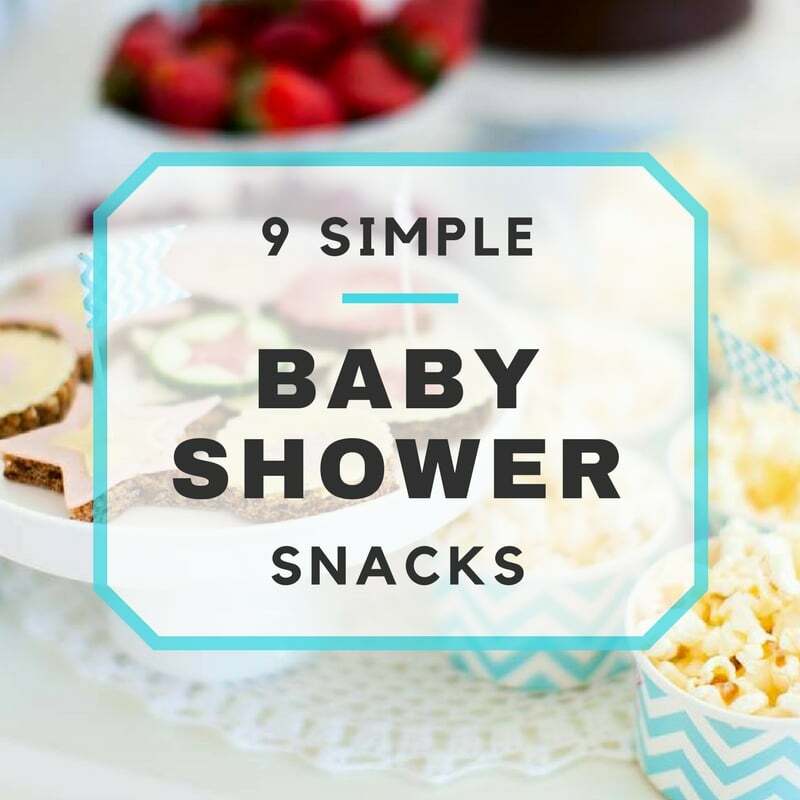 Oh, and don’t forget baby shower snacks with chocolate! Ladies love chocolate.